Today on the Museum Standard: How to be ‘stylish’ whilst visiting a museum! 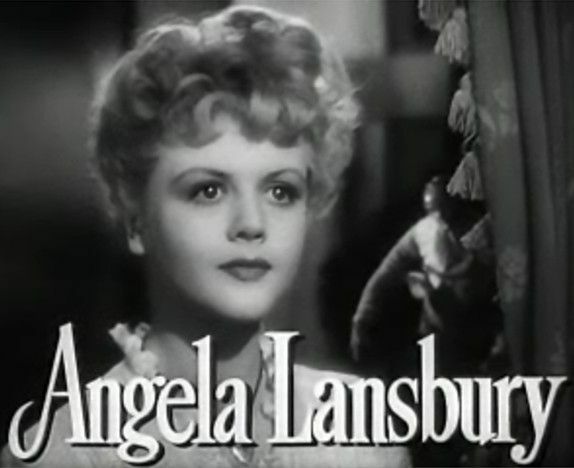 Hello, you’re probably wondering why there is a picture of a young Angela Lansbury in this blog post?! Well she is the inspiration for a blog post I’ve been meaning to write for ages. I’ve had writers block, hence the lack of blog posts. However, I’m back and with a fun filled and light hearted blog post! So what does Angela Lansbury have to do with museums you might think? 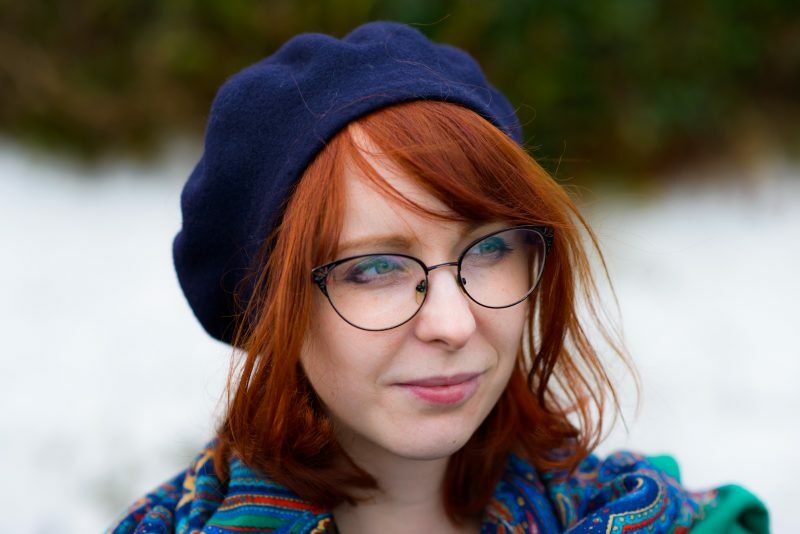 Well, this blog post is a fun guide of what to wear to a museums. And who else has a timeless classic style (which is adaptable to museum visits) but Jessica Fletcher from the famous Murder, She Wrote program. Jessica Fletcher is played by none other than Angela Lansbury! So now you why I’ve mentioned Ms. Lansbury. 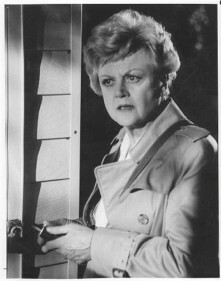 Angela Lansbury as Jessica Fletcher. She looks a bit like a Curator doesn’t she?! Clothing:If you visit museums as regularly as I do, you know it’s important to be comfortable. However, being comfortable does not equate not being stylish. After all, no one wants to see someone’s derriere peaking out from ill fitting trousers whilst in a museum! So how to be stylish and comfortable at the same time? Well below are some suggestions to this age old question. Jeans/Trousers: Loose but not so loose they fall down! With pockets to hold bits of paper and pens to write down anything you see in the museum. Comfortable so that when you sit down to contemplate a painting they aren’t too tight! Skirts: Perhaps a nice loose skater skirt or a-length skirt? Something not too short as speaking from experience wearing a short skirt to a museum is not advisable! Perhaps something like this? Or this? Tops/Jumpers: Either a t-shirt and jumper or cardigan. Or a blouse and cardigan/jumper combo. Some jumpers are warm enough to be worn without a t-shirt underneath. Remember something not to warm and bulky. After all, you may have to carry your jumper around with you! This lovely blue cardigan is perfect for a museum visit. As well as this white jumper. Coats/OuterwearYou don’t want anything to bulky or heavy to carry around with you. Hopefully, there is a cloak or locker room to leave your coats. Though you may need your coat if part of the museums exhibition are outside. A trench coat is ideal for this situation. As Jessica Fletcher demonstrates artfully below! You can find similar trenches here and here. Footwear: Good foot wear is essential for visiting a museum! Chances are you will be walking about the museum a lot. Or even to and from several museums in the same day. You need good supportive and if needed waterproof footwear. Clark’s do an excellent range of affordable and sturdy footwear. Such as these tan leather brogues or these black leather patent ballerina shoes. Handbags/Rucksacks: It’s very important to have a hand bag or rucksack that you can keep everything you might need for a museum visit. The usual handbag items apply (purse, keys, phone etc.) but maybe you want to bring a camera or notebook with you. This is were the right handbag is essential! Though, ideally you don’t want to have to carry to heavy a bag! A satchel is an ideal type of handbag for going to a museum. They are sturdy and weather proof. They have lots of pockets and are easy to carry- either on the shoulder or in a rucksack style. E-bay have a lot of lovely vintage leather satchels for sale. Like this one (note all the pockets!) and this one. 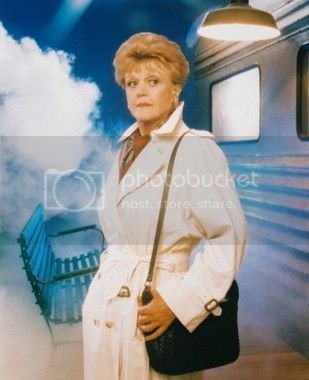 As you can see, Jessica Fletcher is very fond of satchel and trench coat combo! The list above is only a ‘guide.’ What you wear to a museum varies on your personal choice and chosen museum. If you go to a museum on the continent, especially during Summer, you probably will wear lighter, looser fitting clothes. Or if you go to several museums you won’t bring a lot of items with you, to save you carrying them about. However, I hope you have had fun reading my ‘style guide’ to museums (with help from Jessica Fletcher!). I hope to be back to regularly, and perhaps more ‘serious’, blog posts in the coming week. In the meantime, happy museum visiting! (c)The Museum Standard 2013-14. All picture sources listed unless stated otherwise.